Is Cé La Vi Meal World's Most Expensive? Is Cé La Vi Meal World’s Most Expensive? 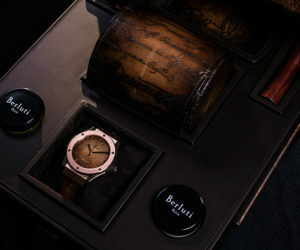 A $2 million meal, touted as the world’s most expensive, awaits one lucky couple at the iconic dining space in Singapore. Have $2,000,000 to spare? 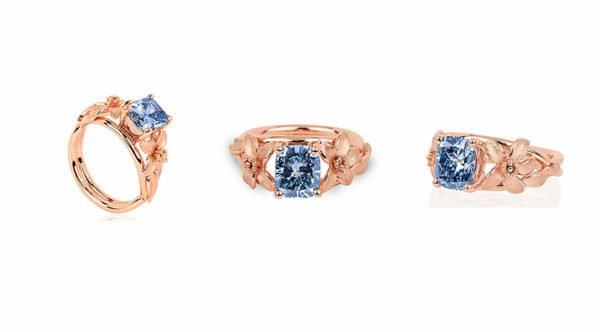 Then we have an idea for you, courtesy of World of Diamonds. No, this isn’t just about diamonds although there is a unique diamond ring called the Jane Seymour in the mix. This is an invitation to dinner at Cé La Vi Singapore, to make a meal of said $2 million and have an experience of a lifetime. 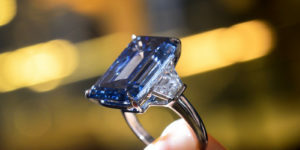 You might be stupefied by this proposition and we confess that we couldn’t believe our ears when the Russian diamond conglomerate told us about it. Basically, the experience — for just one lucky couple— begins with an 8-hour retreat. A 45-minute helicopter ride providing an unparalleled view of the Singapore skyline kicks things off. 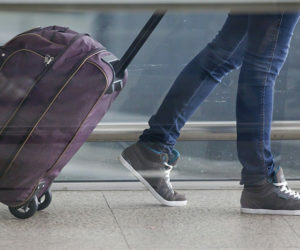 Following that is a chauffeured ride in a Rolls-Royce and a private luxury cruise — the couple doesn’t get to keep either of these things so those of you with a head for figures will still be scratching your head. Moving along, the journey continues atop the 57th floor of the iconic Marina Bay Sands Hotel, with an 18-course modern Asian menu served as you sit amongst 10,000 fresh roses. The menu is the perfect description for the term “spoilt for choice”. The mouth watering options include Fresh Belon Oyster with Champagene foam, Almas Caviar, Jamón Ibérico, Gewürztraminer-Poaced foie Gras, Veal Liver, Lamb Sweetbread, Bresse Poulet Consommé, Striped Seabass, Air-flown Alaska Wild Salmon, Verjus Sorbet, Slow-cooked Pigeon, Glenvale Pork loin and Apple-wood Grilled Mishima Sirloin. All enjoyed with a pair of diamond-studded chopsticks that are engraved with the couple’s names. So, at this point, there are a couple of chopsticks that the couple gets to keep. Read on and it will all make sense, we promise. Of course, no meal is complete without a fine selection of vintage wines and here, things are downright incredible because the vintages served are between 44 to 55 years of age. Even the grand armchairs where the couple will be seated are one-of-a-kind, custom-made by The Plush to help it blend in with your home when it is delivered after. 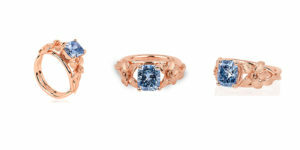 Caping things off is the Jane Seymour Vivid Fancy Blue diamond ring, which arrives with dessert. As the vivid blue diamond ring is finally worn, diners can enjoy a glass of Louis XIII cognac as they watch an extravagant fireworks display. Ok, so now for the final tally then. 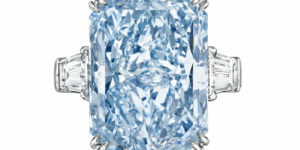 As Karan Tilani, Director World of Diamonds Group told us, just having the Jane Seymour ring in the mix makes this whole affair ridiculously attractive because the ring alone is easily worth $2 million. This being the case, the dinner is expected to be oversubscribed. 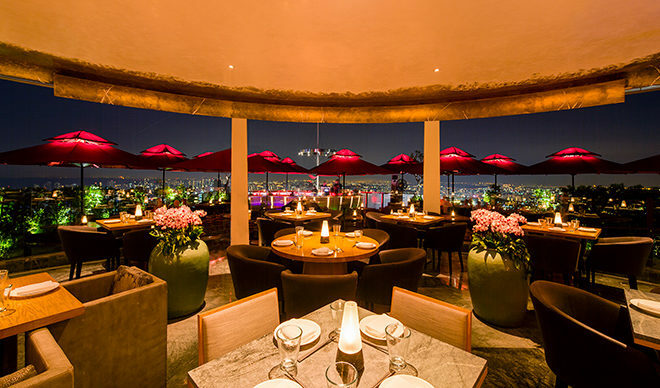 Both World of Diamonds and Cé La Vi will select the lucky recipients of the dining experience. 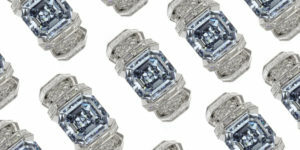 Oppenheimer Diamond To Set New Auction Record?